FINALLY a Low Impact, High Intensity workout for women. Welcome to Heat – there will be no star jumps, burpees, planks or crunches – but we will sweat. Heat is a ‘no-jump’ workout that truly will hit all the fat loss markers and jump start your metabolism and keep you burning calories for hours after the exercise session. 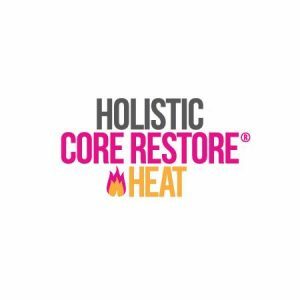 Once you’ve gone through the ‘Every Woman’ programme, ‘Heat’ is your next step in Holistic Core Restore®, and we truly take it up a notch or two with a change in music and tempo to truly get you moving but with a deep respect for your Pelvic Health. Ultimately, IT CAN BE DONE. You can keep both feet on the ground and still have effective fat loss! It goes without saying that this is not an entry level class. I will pre-screen everyone who joins, to make sure that this is the right fit for you, and if it isn’t, don’t worry, I have plenty of other course options to help get you where you want to be.